Qualitative data – information gathered from ideal customers by open-ended questions – is the foundation of success for startups, SaaS companies, and anyone else who thinks they have a solution to a problem that could potentially make money. Asking real people pertinent questions allows entrepreneurs to avoid making costly assumptions, and most importantly, lays the groundwork for the kind of customer success that leads to retention and the potential for wild, insane, Google-level growth. Steve Blank and Bob Dorf, authors of The Startup Owner’s Manual, recommend that founders interview 50 potential customers – in 10 to 15 in-person visits per week – which could require contacting 200 customers or more. While we’re sure the data collected from such interactions is worth the time and effort, we also realize that some of your ideal customers are located around the globe, which makes face-to-face time difficult (and expensive). 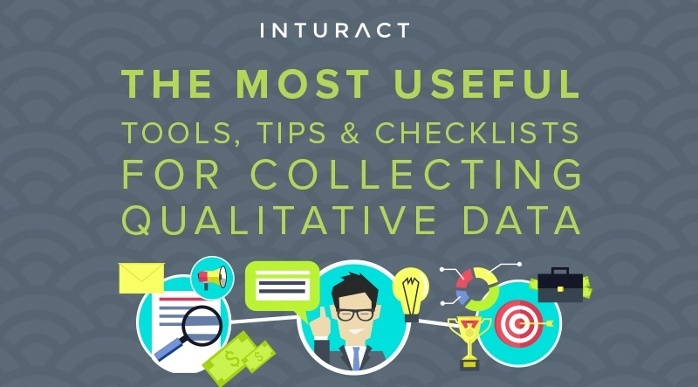 Here are the most useful tools, tips and checklists we’ve come across for collecting qualitative data without using up all of your frequent flyer miles.